As the season of giving approaches, Bristan is getting in the spirit of Christmas with the launch of a competition for its social media community. 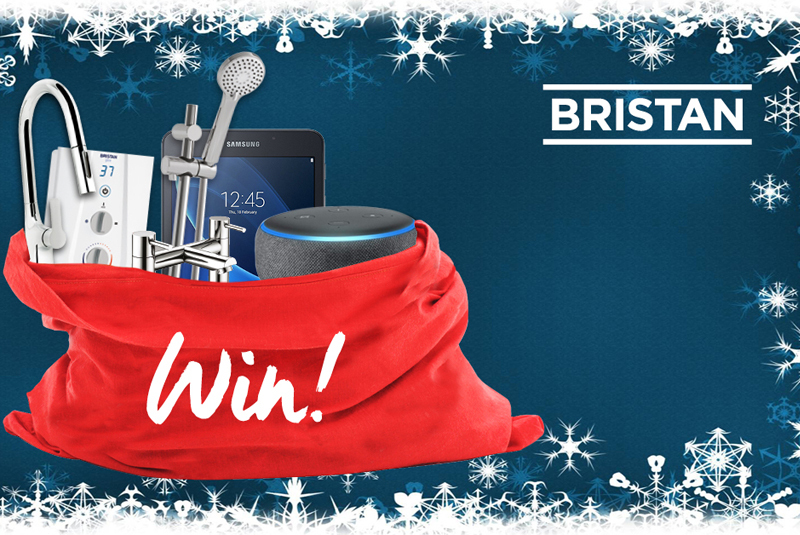 The Merry Bristmas promotion will run from the 3 – 28 December and will offer those who join Bristan’s mailing list the chance to win a prize bundle including £500 worth of Bristan products, a Samsung Galaxy Tablet and an Amazon Echo Dot. 10 runners up will also win a Bristan bundle including a branded drawstring bag, beanie hat and thermal mug, plus £5 Costa Coffee gift card. Installers can enter by visiting the @BristanPro Facebook page and signing up to the mailing list. Winners will be selected at random, with one grand prize winner and 10 runners up. Gareth Griffiths, Trade Sales Director at Bristan, said: “It’s a busy time of year for installers, and we wanted to offer our hard-working customers a bit of Christmas cheer as we approach the festive season.